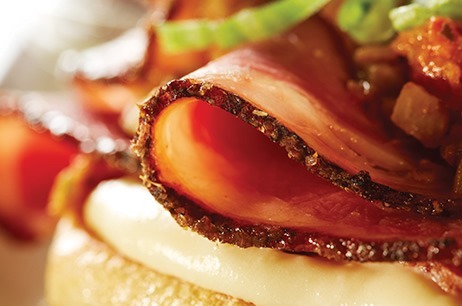 We exist for one simple reason: to provide a wide assortment of quality meats that solve your problems. That means doing whatever it takes to create the products that meet your needs, understanding the unique challenges of your operation and providing friendly, knowledgeable service every step of the way. 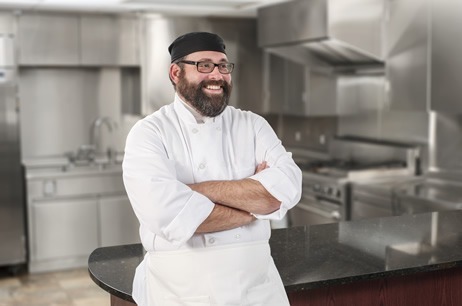 We’re proud to have a Culinary Institute of America chef on staff, who applies his culinary expertise to create products that can work in a variety of applications. We can help you optimize your menu and ultimately your profits by working with you to create menu items that meet your needs and excite your guests. Dan’s Prize is an established name in the meat industry and produces more than 500 sliced, whole muscle, all natural and specialty products. We listen to your needs, your requirements and your preferences to create custom solutions that perfectly fit your operation. Your products are unique to you and produced fresh on an as-needed basis. 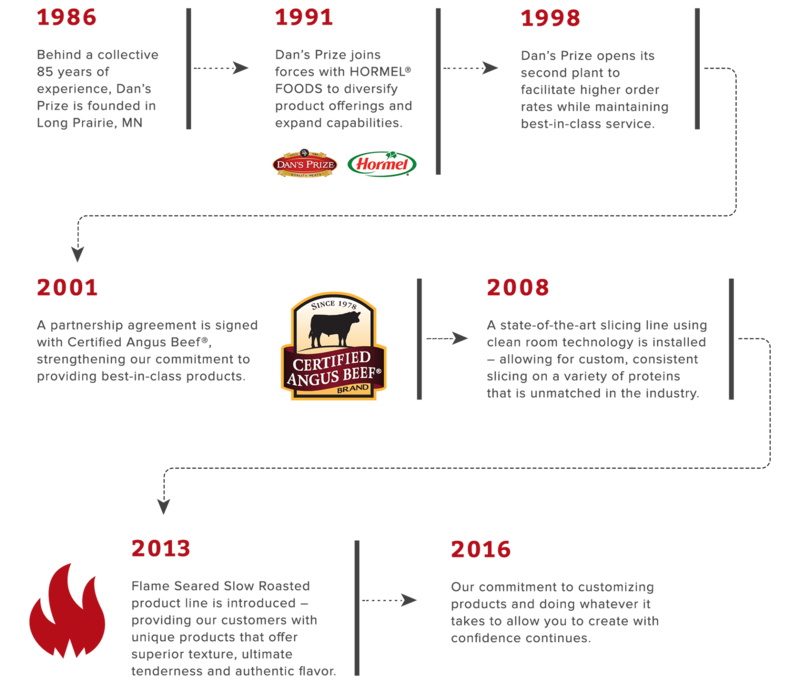 We’ve grown from our humble beginning back in 1986 but our quest for customer satisfaction remains intact. We believe every customer and every challenge, regardless of how big or small, deserves our full attention. This solution-focused approach means you’ll get fast turnaround of product samples and fill rates close to 100%. We’re proud to say that because of our dedication to quality products, outstanding service, innovative product development, trustworthy partnership and helpful marketing support, we have been recognized by our customers as “Supplier of the Year” on numerous occasions.